This nine-week internship is ideal for 18-25-year-olds who are seeking to be a part of a very diverse ministry that works with people from countries all over the world. For the Nations: Refugee Outreach is a Christian non-profit located in the Dallas area, which provides educational and acculturation services while sharing the gospel of Jesus Christ to refugees who have been resettled in the United States. Interns are involved in assisting us with our summer reading program for school-aged children while also working within a ministry context that allows them to grow socially, spiritually, and theologically. Application open for summer 2019. This minimum 17-week internship (one or two semesters) is designed for college upperclassmen and college graduates who are serious about sustained work with international people and are seeking to be a part of a very diverse ministry that works with people from countries all over the world in an education environment. 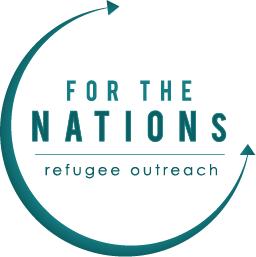 For the Nations: Refugee Outreach is a Christian non-profit located in the Dallas area which provides educational and acculturation services while sharing the gospel of Jesus Christ to refugees who have been resettled in the United States. Interns in our fall program are involved in assisting us with our adult and children’s educational programs. This internship may be used as college credit for internship hours, field work, and/or class requirements if pre-approved by the academic institution and For The Nations: Refugee Outreach.